Clifford “T.I.” Harris has been a dominant force in the rap game going on close to ten years now. This is a follow up to a previous piece CSMS Magazine had previously done on T.I. years ago. Since then T.I. has been an even bigger super power. He’s producing his first film entitled Takers staring himself, Chris Brown, And Matt Dillon. He’s also preparing for his highly anticipated new album entitled King Uncaged which is due out in stores in the fall. But on the flip side of things, the last three years of T.I.’s life have been turbulent and crazy. In 2008, one of T.I.’s close friends got shot and murdered while being ambushed in a shoot out while out with T.I.’s entourage. Later on that year, T.I. new born baby daughter died shortly after she was born from complications. To top it all off, T.I. was arrested shortly before attending the BET Hip-hop Awards on weapons charges. Things weren’t looking too good for the southern rap king. He took a plea deal in which he had to do over 1,500 hours of community service, go around the country and speak to kids about anti-violence, and he had to spend 366 days in a federal prison. 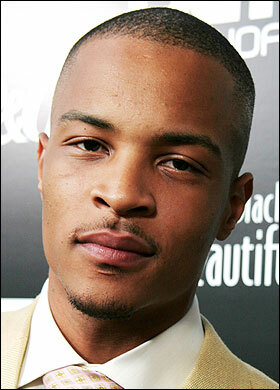 In the mist of all this turmoil, T.I. started to write materials for his most introspective and bestselling album yet, 2008’s Paper Trail. This didn’t have one but five top billboard singles. The mega smash hit Whatever you like stayed at number one for two weeks straight. As well as his second number one hit Live your Life which catapulted itself to number one on the charts. The album went on to sell 3 million copies worldwide, which is a great number for today’s standards. When it was time for T.I. to go to jail in early May 2009, he was at the top of his game. His manager later said in an interview that T.I. hoped his album would be a success so his name would be in good space by the time he would be released from prison. In April of this year, T.I. was released into a halfway house, and later on in May, he was completely released. T.I. immediately began working on his King Uncaged album which he had started on before he went to jail. He has already completed his new film Takers which is due out next week. T.I.’s clothing line AKOO is coming out with its 2010 fall season, possibly in September. But only time will tell if T.I.’s next album will eventually live up to the artist’s standard. But judging from his track record, he’ll be just fine. Note: Ardain Isma Jr. is a junior at Florida State College in Jacksonville, Florida. He wrote this piece especially for CSMS Magazine.